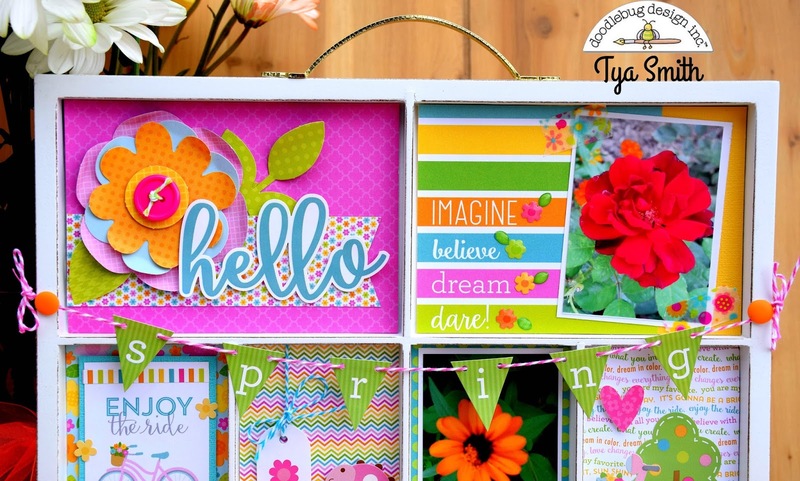 Hi Doodlebug fans - Tya here and I am up on the blog today to share with you my project using the wonderful new Spring Garden collection. 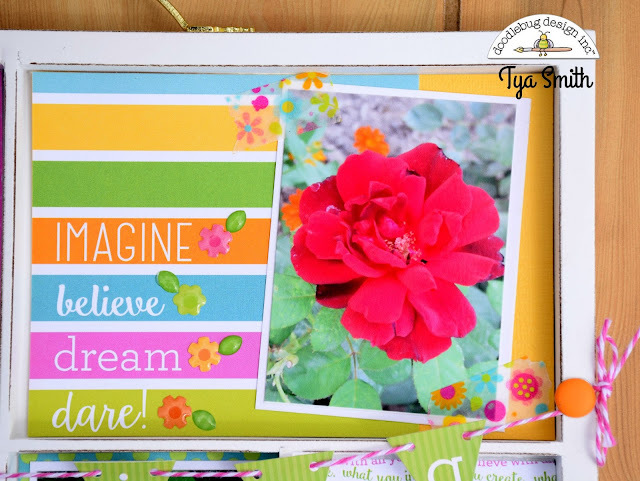 I decided that my home needed a colorful pick me up so I decided to create a printers tray to brighten things up a bit! One of my favorite parts to design was the cute banner that spells Spring that I strung across the top section of the tray. In this section I layed a few flower cut outs from the Garden Flowers Craft Kit. I added the Hello sticker from the Icon Sticker sheet to the tray with some pop dots for dimension as well as curled the edges of the flowers. 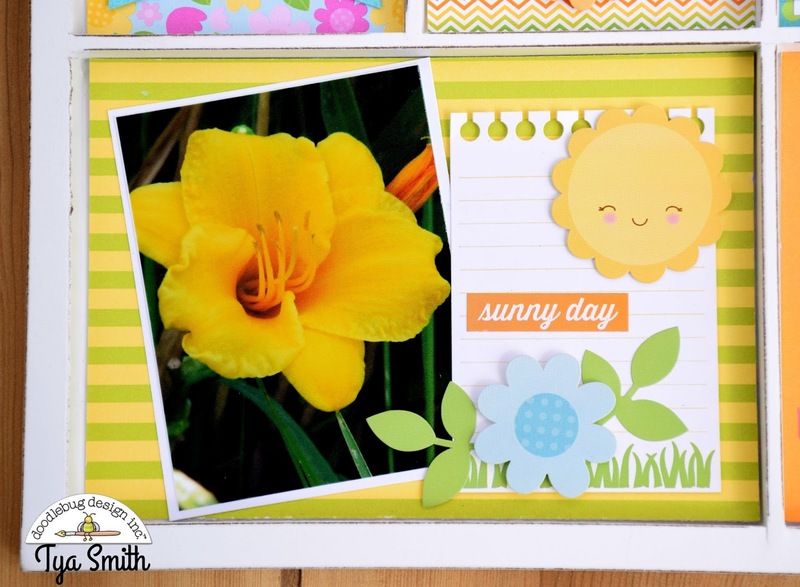 In this block, I used a square from the 4x4 cut out sheet and added it to some yellow cardstock. I also added some tiny flower shaped sprinkles next to the words. The flower picture was attached with some adorable Bright Blossoms washi tape. These next sections were really fun to do. 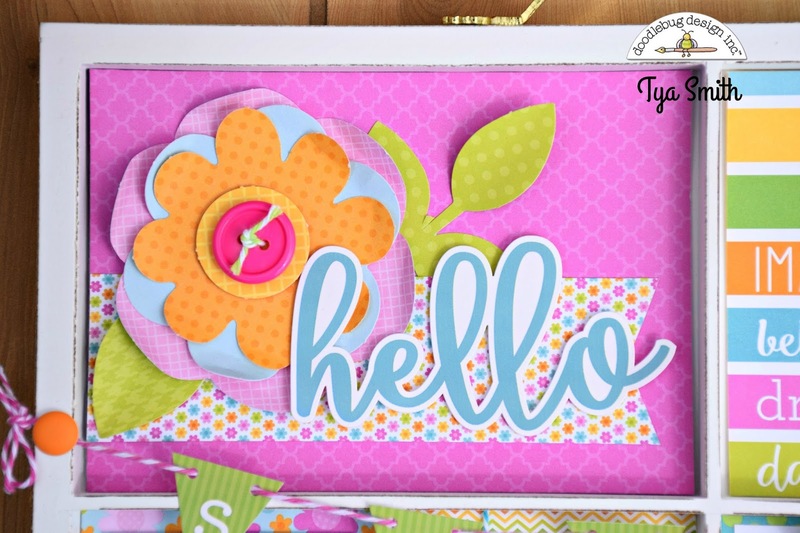 I loved using the smaller scaled papers from the 6x6 pad for some of the papers and the banner as well was from the 6x6 pad. And how cute is the ladybug Doodlepop? The pink scooter was one of my favorite stickers on the Icon Sticker sheet. I also added a tree sticker from the Bunnyville Icon Sticker sheet. On this section I added a cute smiling sun sticker (he's from the Bunnyville sticker sheet as well- love how the lines can mix and match!) The Icon Sticker sheet for the Spring Garden line is full of beautiful flowers - I added a lovely blue flower and leaves to the notebook paper sticker which is found on the This and That sticker sheet. 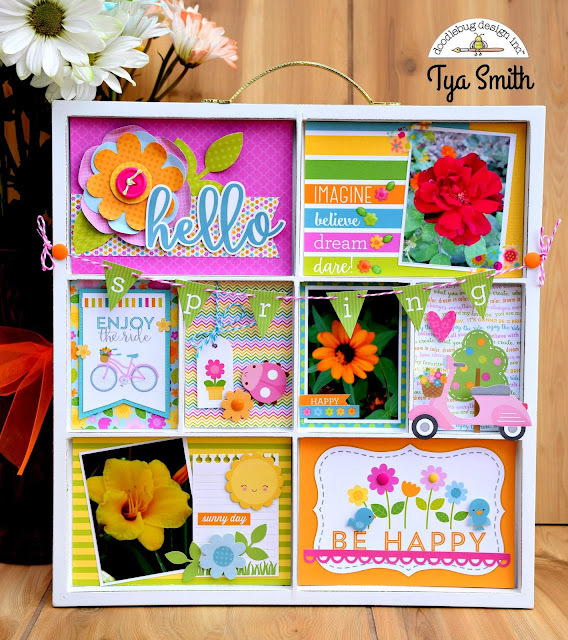 Finally - this 4x6 card completes the tray. I loved all the flowers and the little birds. 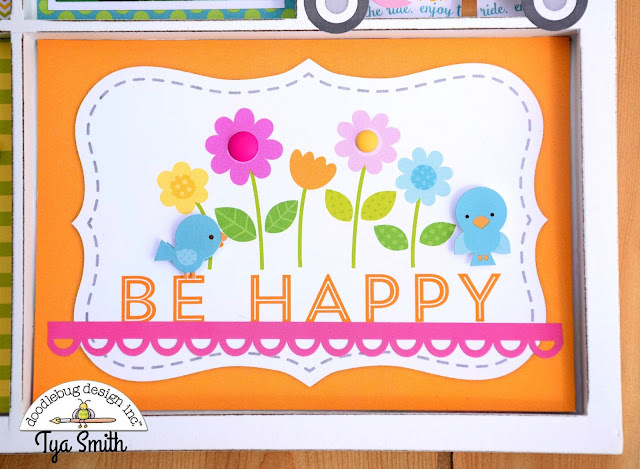 I added another bird and some new matte sprinkles in the center of the flowers. 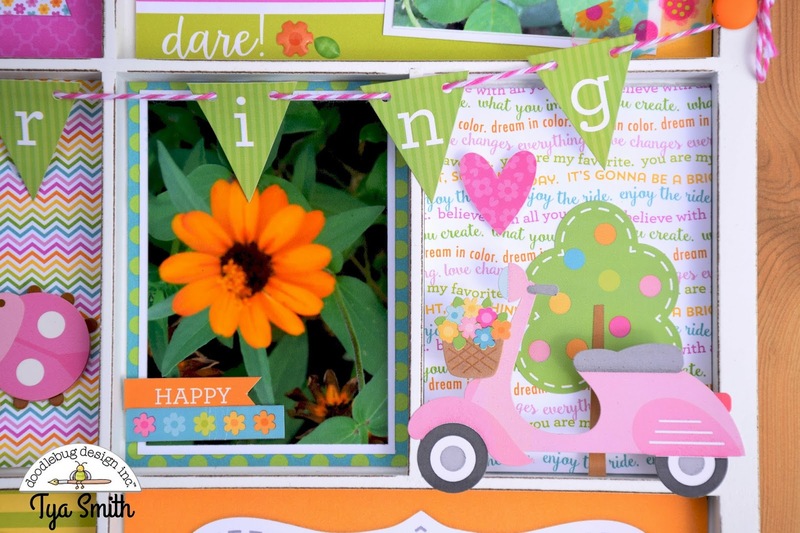 A pink scalloped border from the Fancy Frills sticker sheet adds a pop of color to this card. That's all there is to it! 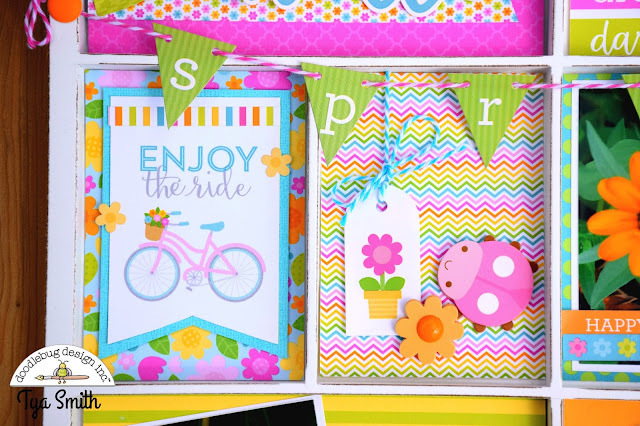 I had so much fun decorating this tray and hopefully I have inspired you to want to add some pops of color to your home too! Thanks for stopping by! Happy Crafting!! 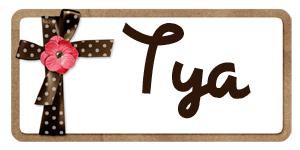 I love this Tya, it's such a fun project!! !